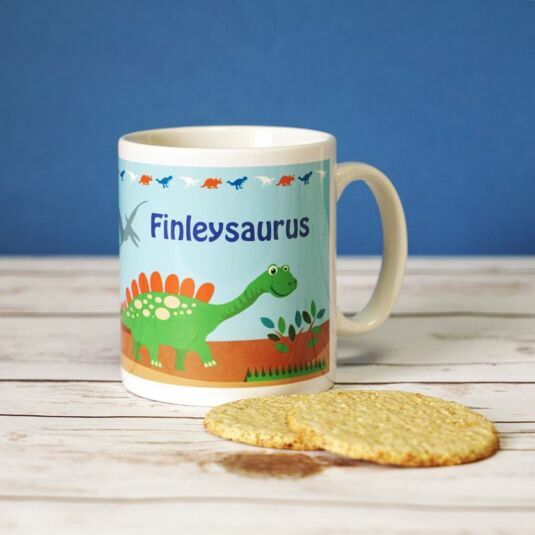 The perfect addition to any little one’s meal time, this Dinosaur mug is vibrantly designed with a dinosaur theme in mind. Using an array of bright and bold colours, this ceramic mug is personalised gift they’ll cherish for its practicality! 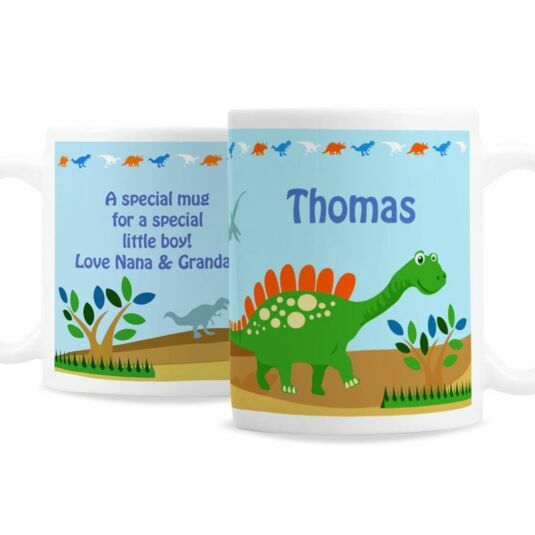 With dinosaur graphics wrapped around the mug and two areas of personalisation, little ones will love to pick out their mug when it comes to making a drink. This would make the perfect gift for birthdays. Hand washing is recommended to preserve the personalisation. 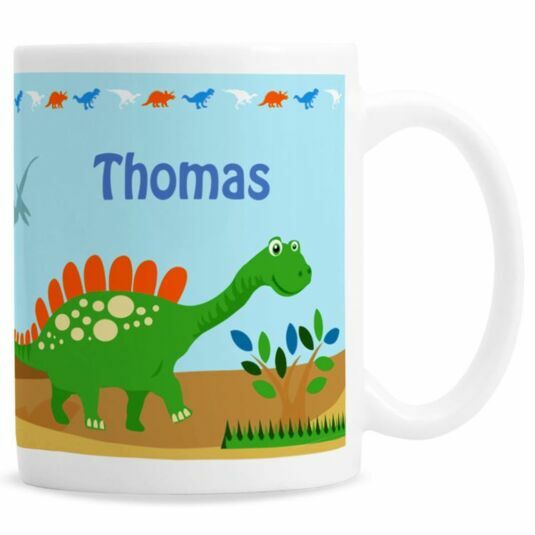 Add a name, with a maximum of 20 characters, to appear on the front of the mug. 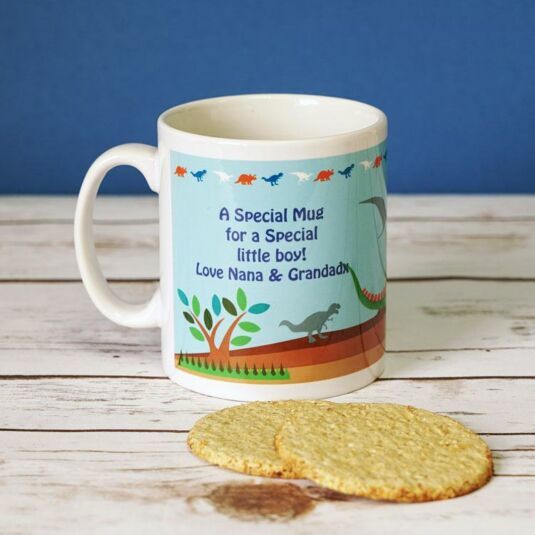 Add a message across 4 lines, with a maximum of 20 characters per line, to appear on the back of the mug. Please refrain from using only capitals in your personalised message. If the entire message is in capitals you will find the personalisation extremely difficult to understand and this may even result in personalisation being missed off the product.